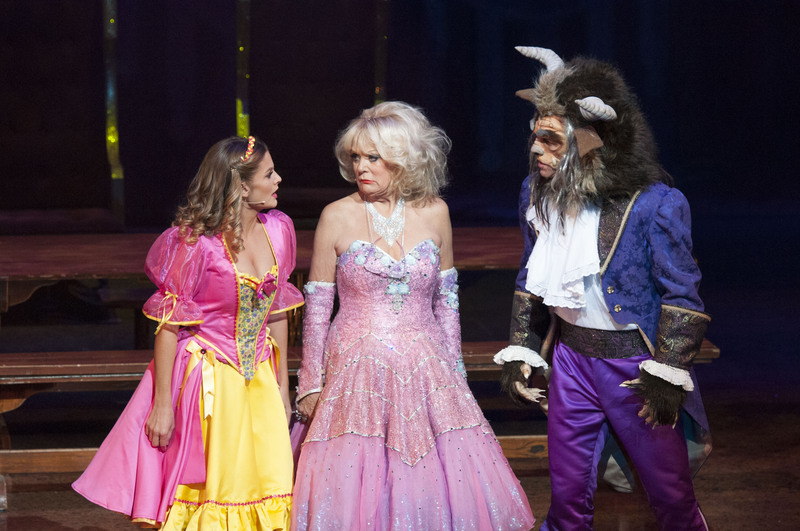 Review: Beauty and the Beast. Nottingham Theatre Royal. – East Midlands Theatre. Review: Beauty and the Beast. Nottingham Theatre Royal. 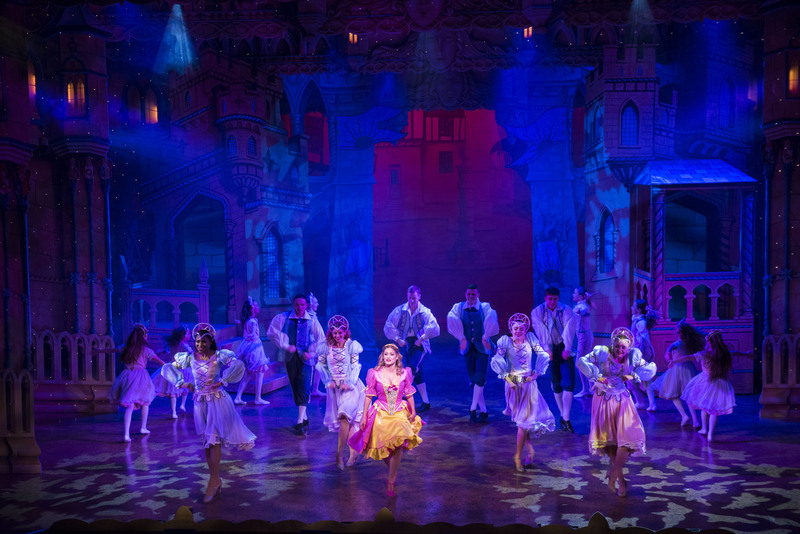 Nottingham Theatre Royal’s ‘spectacular’ pantomime Beauty and the Beast offers up a real spectacle in its glorious set designs, colourful costumes, slick, if sometimes over frenetic, dance routines and very scary 3D journey through the woods. 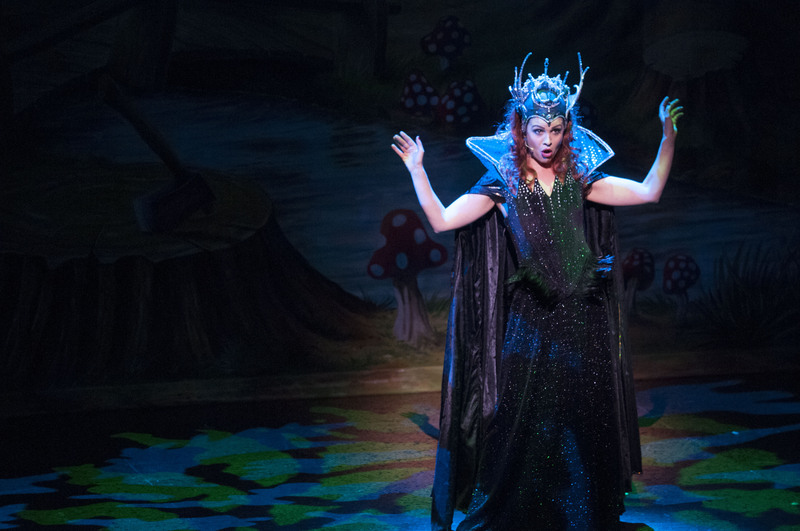 The alarming depiction of the Kraken, a monster that lives under the castle, is cracking pantomime drama! Beauty and the Beast director Andrew Ryan commands the stage as a confident, naughty and risqué pantomime dame Dame Betty Blumenthal. 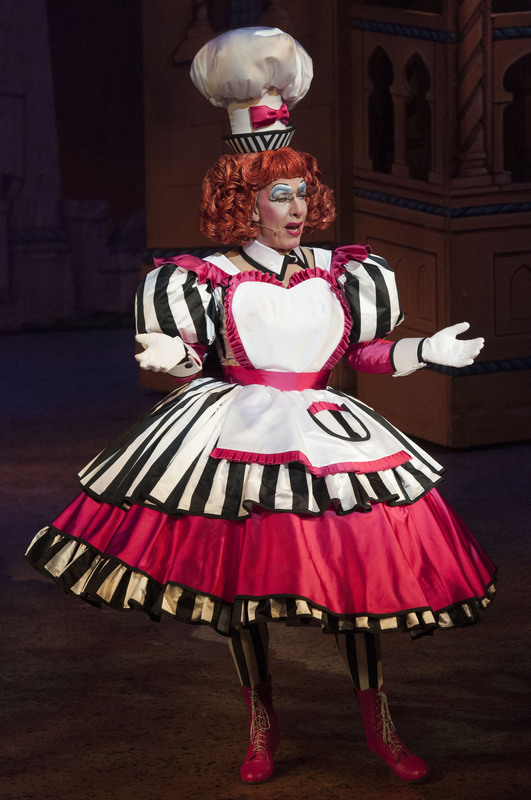 Ryan as dame has some very quick changes and his ‘dresses’ are fittingly outrageous for one of the best pantomime dames in the business. Each new ‘dressed up’ entrance gets a big round of applause and Ryan’s courting of John (an audience member) throughout is hilarious. 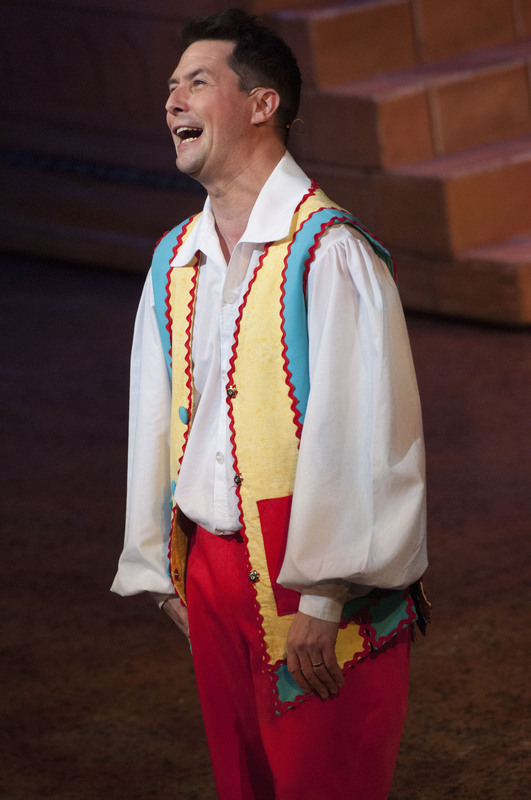 The very popular Ben Nickless proves a huge hit with the children in the audience with his youthful energy, daft jokes and constant impersonations. Ryan and Nickless work exceptionally well together particularly in the mirror gag filched from The Marx Brothers. 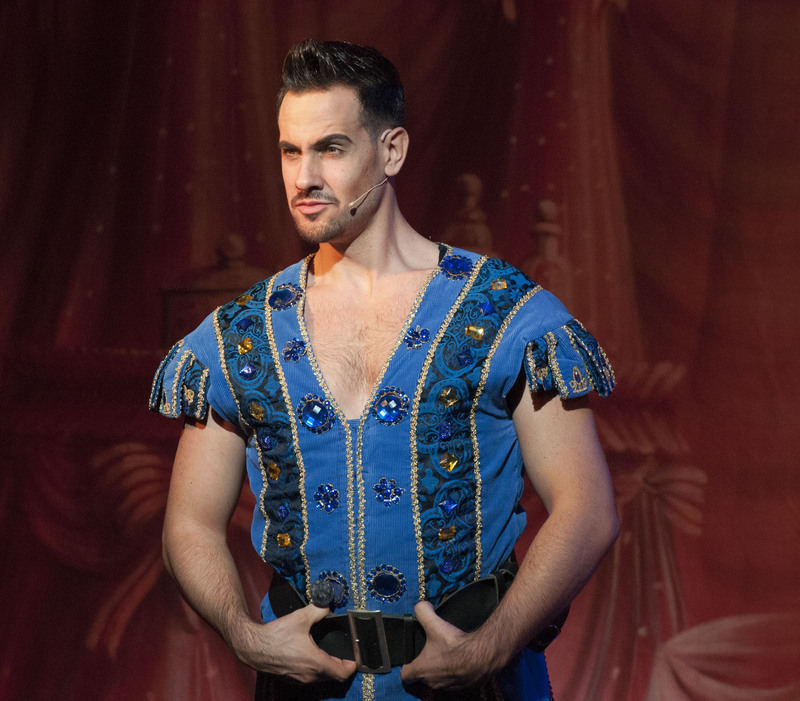 Ben Richards is moving as the Prince Sebastian/ The Beast under the evil spell cast by a wonderfully wicked and darkly beautiful enchantress Deadly Nightshade (Natalie Spriggs). 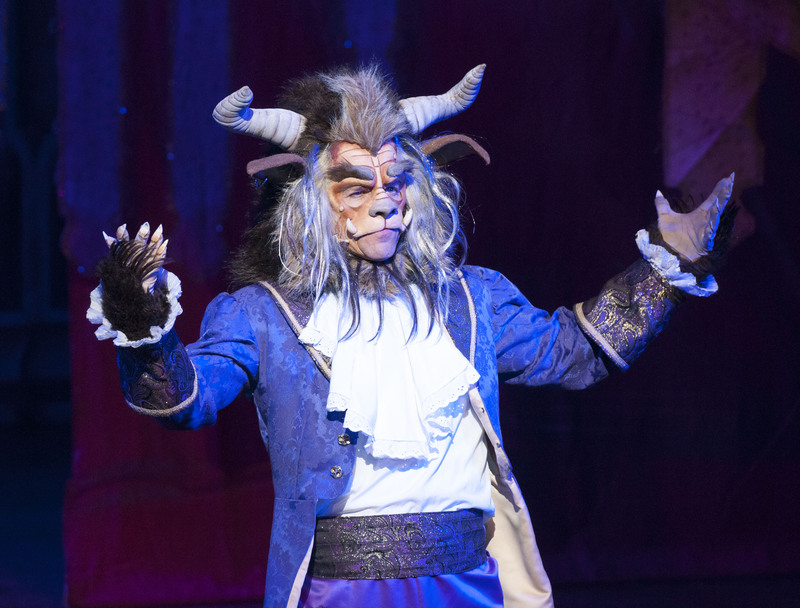 Richards has great presence in his main role as The Beast, although this particular pantomime script is a bit scatological in providing an actual chronological dramatic and romantic story for him and Belle. As panto viewers we seem to be taken on regular comical diversions. Not a bad thing but it is easy to lose the proverbial and literal plot along the merry pantomime way. 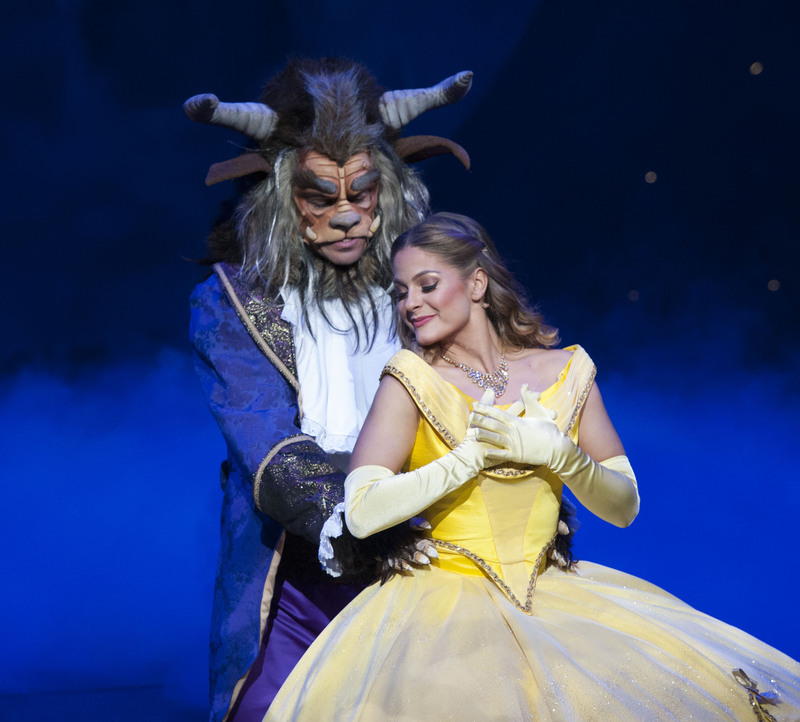 As Belle, a very confident Naomi Slights acts and sings her way to a fairy tale romance and charms the audience with her winsome personality and growing love of The Beast. Danny Bayne as vain and self obsessed Trent Bridge (yep that is his name boys and girls) is a hoot and part of the great entertainment is watching him trying not to crack up during his scenes with Dame Blumenthal and Benny Blumenthal. One of the draws of a very commercial pantomime are faces and known personalities from television. Therefore part of the scripting for the main ‘star’ is heavily linked into how the television watching audience perceive them. 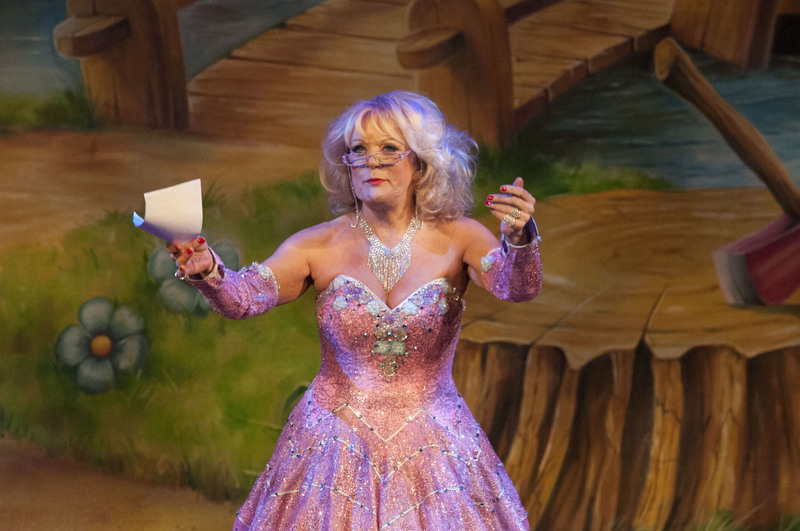 In Beauty and the Beast this year we have the amusing, popular, very likeable dotty actress Sherrie Hewson who happens to be a Nottingham lass. Hurrah! Hewson plays the oddly named Mrs Potts – Temple-Savage. For those unfamiliar with the Benidorm telly show where she plays Joyce Temple-Savage, Sherrie Hewson’s panto name might seem a bit strange and lacking the familiarity of its intention to connect. Her scripted role as Belle’s undiscovered lost mother works on the whole but occasionally her script seems a tad haphazard making Hewson’s character Mrs PTS seem ‘slotted in’ to the main show. Although she has some well delivered funny lines some of the very specific TV related/referenced jokes don’t always hit their mark. 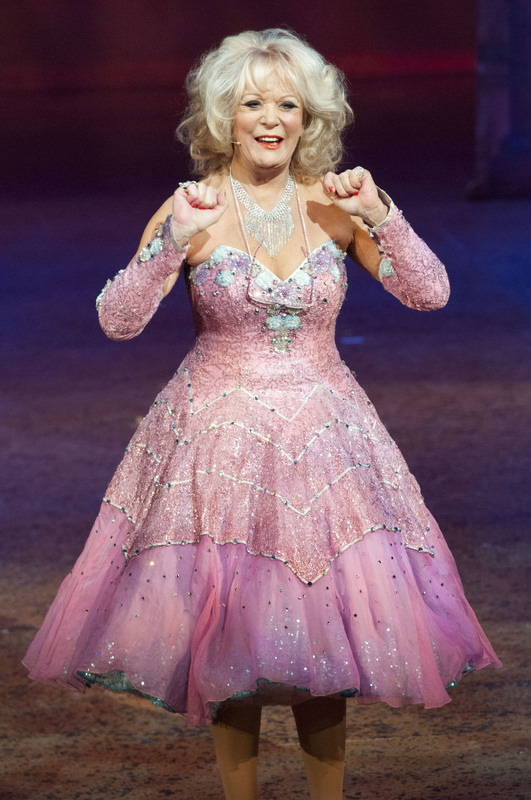 However, after all her experience and years as a professional performer Sherrie Hewson brings her own sparkling personality and personal wit to the fore winning over any weaknesses in her script. She is her absolute funniest during the so easy to f*ck up pheasant plucking tongue twister routine. 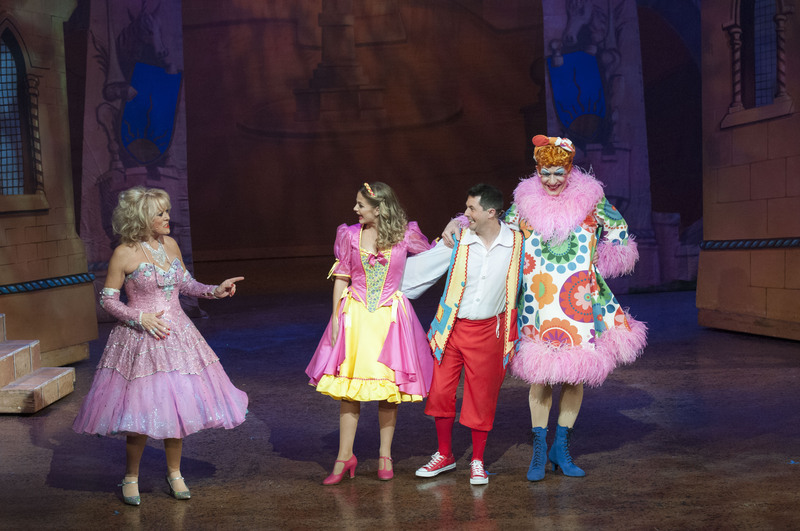 Plus, and most importantly, the audience seem to love her Mrs Potts Temple-Savage characterful contributions to the annual Nottingham Theatre Royal pantomime 2017 and have a great time in her company. Overall, Beauty and the Beast is everything that the audiences at Nottingham Theatre Royal come to expect from their annual visit to the venue: glitz, large spectacular settings, plenty of broad humour laugh out loud moments, songs, an abundance of colour and sparkle, a super support ensemble, live music, really magical moments and special effects a plenty. Beauty and the Beast runs until Sunday 14th January 2018. Note: the show contains some very loud special effects and we feel it is not suitable for really small children who are easily frightened. Review: Cabaret. Bilborough College. Nottingham. Curve Theatre Leicester 2018 White Christmas promo.